Holly came to the Fellowship after working for Project Morry, a not-for profit youth program in New York. After spending almost 7 years there working closely with families and their children, she wanted to find a way to have a deeper impact. She felt she was lacking the experience and training to be a real resource for the families she cared about. She wanted to learn organizing skills so that, with her help, the youth she worked with could have an impact on their own communities. During her Fellowship year, Holly worked as a union organizer with Local 509. Having the space to reflect and be pushed as an organizer has been essential for Holly. The smart questions, thoughtful critiques and support Holly has received from her Fellowship class and the Fellowship program have enabled her to keep fighting for respect at work. 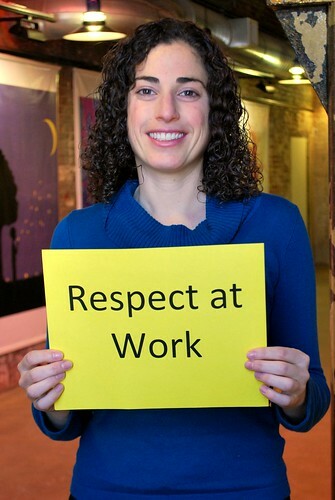 Holly is fighting for respect at work. What will you fight for?